Light Therapy is a clinically proven, effective acne technology used by dermatologists for over a decade. The energy from red and blue lights gently filters through skin and has been scientifically proven to target acne-causing bacteria, reducing the appearance of spots. Blue light targets acne causing bacteria while red light penetrates deeper to reduce inflammation. Uses dermatologist in-office acne technology. Wash and dry your face prior to use, treat for 2 minutes, 3 times a day anytime, anywhere. 1. Before using the device for the first time, remove the pull-tab on the back of the device. 2. Wash and dry the treatment area. Lightly place the head of the device over the treatment area so it makes contact with your skin. 3. Press and hold the power button for a FULL second until the device beeps once to begin treatment. Each treatment is 2 minutes. 4. The device will turn off automatically after 2 minutes. The device will beep twice to let you know your treatment is over. Use three times per day per treatment area. If the device flashes/beeps three times after pressing and holding the power button for 1 second, the battery in your device is low. Replace the AAA battery for continued use by using a small Phillips head screwdriver. We recommend you use re-chargeable batteries to be eco-friendly. Do not use the Light Therapy Targeted Acne Spot Treatment if you are pregnant, may be pregnant or nursing as the risks are unknown and have not been established. Please follow local regulations where you live for proper disposal of battery operated devices. DISCLAIMER: The NEUTROGENA® Visibly Clear® Light Therapy Targeted Acne Spot Treatment harnesses clinically proven light therapy that dermatologists use to treat mild to moderate acne only. For more severe cases of acne please consult your GP or dermatologist. As soon as I got my light therapy targeted acne spot treatment I couldn't wait to use it. The actual machine is very small around the same size as a marker pen, making it the perfect size for travel. The machine is easy to use as you just put then pen on your spot, press the button and the purple light appears for 2 mins when the machine beeps and the treatment is complete. It is recommended to use the machine 3 times a day, so I used it 3 times a day for the first few weeks to see how it performed. My thoughts are as followed; if you're like me and have quite bad acne in different places over the face 2 mins can sound like a quick fix but the machine covers a small surface area hence you have to do multi treatments which becomes time consuming and boring, some of my smaller spots reduced quickly and some even went but for larger spots the reduction in inflammation was minimal. To test the machine properly I picked 2 spots of around the same size one I would treat with the machine the other I would just continue my normal skin routine without treatment from the machine. I found that both the spot I used the machine on and my other spot which I didn't use the machine seemed to go around the same time and one didn't look any worse or better than the other. Hence in conclusion I think this spot treatment is more suited to those who get occasion spot or only have acute acne, for instance if you had a date on Saturday and got a spot Thursday this treatment would more thank likely get rid of it or heavily reduce the inflammation but for those who have quite bad acne or hormonal acne I wouldn't say this spot treatment isn't for us, it's too time consuming and won't really help with our level of acne. Honestly, I don't see much different after using product. My skin is little bit more gentle on used places. Anyway, laser is very comfortable and simple to use, leaflet was wrote easy. I and My daughter are using Neutrogena. Simple and easy in life. We are happy with the results, always when I go out or leave, I have it in my purse. The effects are well-deserved, what I expected from using the results. I am on YES I will definitely recommend it to friends. Thank You! 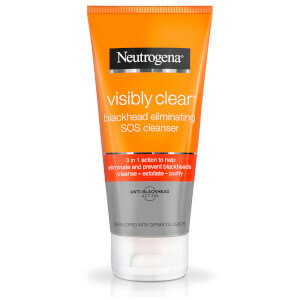 I think that Neutrogena isn't the best product. I was trying to remove get rid of big spot which was on my face. I used everything which was included in manual. I've been treating my spot for 3 days but the reason was the same if i will just leave it without treatement. 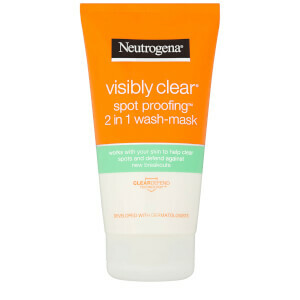 Then after a while i've use it on little spot on my forehead and then im not sure if it was a luck or Neutrogena worked it magic but spot was gone on the other day. 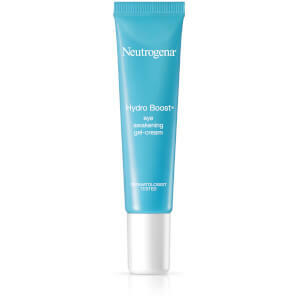 Overall it is hard to say if its good or not but i think that removing big spots that what this Neutrogena should be for. I can cover my little spots with make up. I used this product few days for few of my pimples. I don't have the patience to hold it 2 minutes on my face 3 times a day for every spot. it is a little bit difficult if you have to do it during the day and remember to clean your make-up first. on few of my spots probably worked but few still had after. but in general I couldn't see much difference. As someone who used to suffer from spots a LOT, every spot is now a huge blow to my confidence. When the opportunity came up to try this product, I knew nothing about its method or effectiveness, but I jumped at the chance. I don't know if I had any expectations prior to trying this, but the product is exactly what I'd expect it to be. It reduces the pain and redness of the spot after 1 or 2 uses, and more or less gets rid of the entire spot within 5-6 uses. As I'm very impatient, it's quite difficult to restrain myself and actually get through the 6 uses though... Quite often I would rather pop the spot and manage its look with make up. However, if you have any restraint or patience, then this might be just the product for you! I was slightly disappointed that the instructions didn't say anything about using the wand near your eyes... I had a spot on my brow bone, and was absolutely terrified to put the wand near my eye as I could see the purple/pink light shining through. On the bright side, the wand is powered by a regular battery, rather than having to purchase "activation wand" or whatever it is that you need for the full mask. The visibly clear really works. I tried it for a couple of days after I recieved it on a couple of spots I had on my face. Works a treat, not only got rid of the spots but my skin around the arears tested are smoother. Amazing!!!! After eating everything that's been within arms reach over Christmas and New Year, my usual spot go to didn't seem to be working. I'd come out with about 5 cystic acne spots that had been there for so long I'd named them. I regularly get this type of spots but never as many in one go as this!! Anyway, my visibly clear light treatment arrived and I couldn't wait to rip into the box and have a go. Result... Well the next morning I woke up and my main man Kevin (massive spot in the middle of my forehead) had reduced in size and redness! I was so impressed!! I've kept using it daily and noticed a massive difference in the speed they've been disappearing. Literally such a life saver. I feel more confident now they've started to go and it's all thanks to this tiny little device I can carry in my pocket. THANK YOU Neutrogena! I think that Neutrogena Visibly Clear Light Therapy Targeted Acne Spot Treatment is one of the best products I've had a chance to deal with. It helped me to deal with a few really bad spots in a short time. In a few hours after using the product regularly spots became much brighter and smaller and after few days disappeared without leaving a mark what usually happened to me. If you struggle with a single spots it will be a great product for you, unfortunately it takes 2 minutes for every spot so it takes a long time to use it for all of them but it's definitely worth it!